Do You Know Your Neighbor? Society has changed immensely over the past 50 years! As a child I knew and interacted with many of our neighbor’s, as did my parents. Although we lived in the suburbs of Indianapolis, we had a sense of community. Every neighbor in our area was on a first name basis with other neighbor’s-and not just the one’s next door, but the ones down the street-one or two blocks away. We had no need for programs like Citizens on Patrol, or a neighborhood watch, because it was automatic. We watched over each other. We knew when neighbor’s went on vacation and when they would be back. We knew when someone was ill and maybe needed an extra hand to keep up the house or lawn. 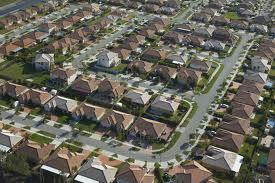 Many neighborhoods across the country-across the world-have lost this cohesion of community. I truly feel sad for the many people that no longer have time to get to know their neighbor’s-even the ones right next door! Fortunately in our quickly evolving, technological, society, our neighborhood has at least found a way to meet and communicate information that used to be passed over the fence. It’s all Free and it’s private to each neighborhood, so the only people seeing anything on the site will be your neighbor’s. I invite you to see how great having a NextDoor site for your neighborhood can be. If your neighborhood is not already using NextDoor, start a group for your neighborhood today. It’s all FREE. Previous PostCode of Chivalry-Debateable?Next PostStorage Lockers-Is there really money to be made?